AEIOU Kids Club will present you the best Balloon Modelling for hire you have ever seen! Our balloon entertainers will make your children’s party just perfect bringing lots of fun. All our professional children’s party entertainers are very committed, and they will do everything to ensure your Kids’ party entertainment. You can hire our balloon modelling entertainers in every area of Liverpool, Manchester, London and Birmingham including Greater London, Essex, Surrey, Kent, Birmingham, Liverpool, Manchester and some more! I assure you that our Balloon Modelling for hire is just great! AEIOU Kids Club is the best Kids’ party company in the country and it has the best entertainers working there. If you want your children’s party amazing, contact us and we will do everything to make it perfect. Our balloon artist is just outstanding. Don’t you believe me? Take a look at what our balloon maker have to offer you. Dogs – Our balloon modelling is just amazing! We will bring to your kids’ party lots of little dogs and your little ones will be delirious with Balloon Modelling for hire! Parrots – We have lots of animals to bring to your children’s party. It’s not just puppies; it is a real zoo! What about fantastic Parrots?. 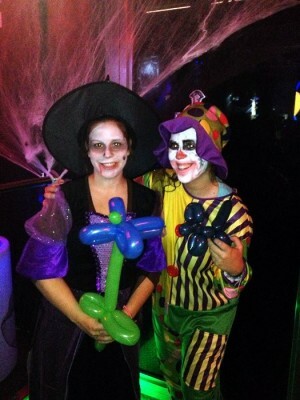 Our balloon artist will make your party perfect! Flowers – What kind of girl don’t like to receive flowers? Enjoy our Balloon Modelling for hire and offer to your little princesses lots of flowers that our balloon maker will give them! Swords – And what about a fight with balloon swords? Boys will love to run everywhere with a sword in their hands! Our Balloon Modelling for hire will make all your dreams come true! Hearts – Hiring our balloon modelling you are guaranteeing the fun of your party. There is not only a child who won’t surrender to our balloon hearts! You can hire our balloon modelling for every children’s party you give. From Weddings, birthday parties to the community and corporate events. Our balloon maker will make your parties so incredible that you won’t forget to hire him. Together you can enjoy our children’s party entertainment with lots of other entertainers. Take a look at what kind of parties you can get our Balloon Modelling for hire! Birthday Parties– AEIOU Kids Club is an expert on organising and entertaining your birthday parties. Apart our balloon modelling, we have lots of games and fun activities to make your birthday party just great, like face painting, magicians, clowns, and much more. Christenings– If you are planning this kind of party, you surely need some help. 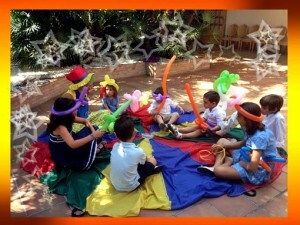 With AEIOU Kids Club you can relax and enjoy your party being sure your little ones will be having lots of fun! Our balloon entertainers will bring to your party lots of dreams too! Weddings – There is nothing more stressful than a wedding coming, isn’t it? With our games and our fantastic set of activities, you don’t need to worry anymore. 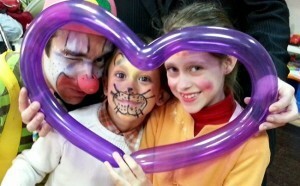 You can ensure your children’s entertainment with our balloon entertainment, face painting, shows, and lots of games. School Parties – Our balloon twister will make your school parties just great. We also prepared a set of activities especially design to make your parties memorable. Corporate Parties– If you give a corporate Party, you couldn’t be in a better place. To make your party perfect, our services include Balloon Modelling for hire to enjoy all the kids. Grand Openings– The grand opening of your business is a very important date. Because we know that, we have a whole package to cheer the little ones, including our balloon twister. 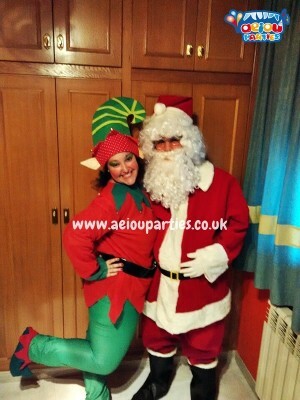 Christmas Parties– No less important are the Christmas parties. How about this year bring Santa into your home? And if he were in the company of fun elves? Isn’t it a fantastic idea? And you still can count on the presence of our balloon entertainers! Halloween Parties – Our balloon artist will make your Halloween Parties special. With the face painters’ help, your party will be just memorable! 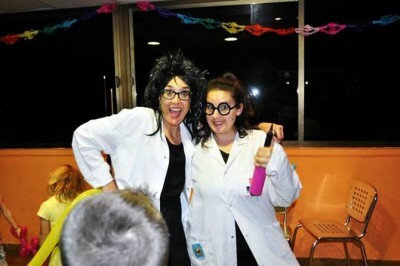 Themed Parties– There are no better themed parties for children throughout the world. We have everything you ask so your party is everything you ever dreamed! And, of course, you still have balloon entertainment in your party. 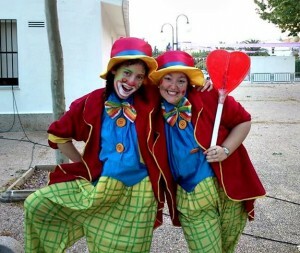 Community Parties– From clowns and magicians, beautiful characters, decorations, and even large castles. Just ask and we will do the biggest party you’ve seen until the present day. Our balloon twister is excellent options to guarantee you party’s entertainment. In fact, there is no company so dedicated throughout the UK. All the professionals of AEIOU Kids Club are committed to bringing success to your party, and the ultimate goal is always to please all children. Our Balloon modelling for hire will bring to your kids’ party lots of fun. You can find us in all the cities of London, Liverpool, Birmingham and London. Do not hesitate to contact us. Gladly we will show you all we have to offer, including our Balloon Modelling for hire!